My best friend taught me kitesurfing 7 years ago. As I put one foot on the board I knew I was already addicted to this sport. Then, because of my studies, I was not practicing a lot, but in 2009, I started training in freestyle, making some trips and I passed the IKO for teaching. 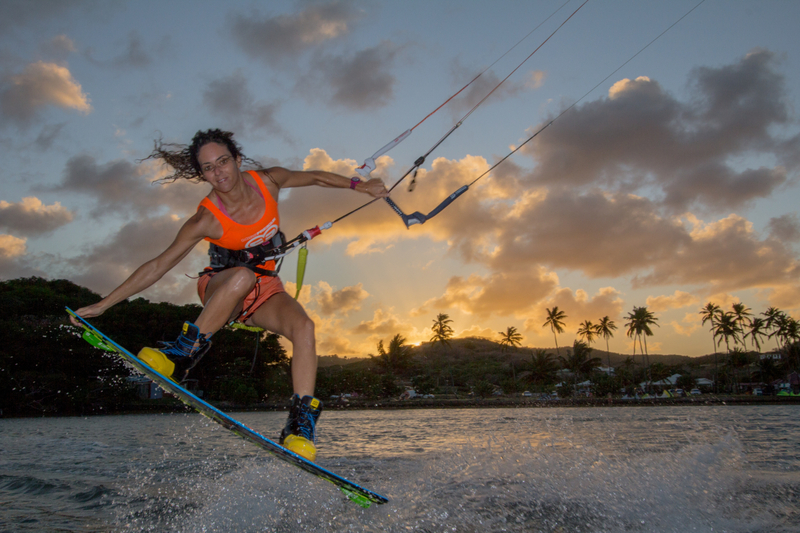 I had only one goal: kitesurfing every single day of my life. In 2011, I took part in my first competition, a PKRA stop in Brazil. Things went crazy, I ended up in third place, it was like a dream and I was more motivated than ever. 4 years later I’m still here, traveling around the world, working on new tricks and enjoying my lucky & beautiful life! Few years ago I would answer you to live from kiteboarding. Now I will just say to stay as happy as I am today, even more if it’s possible! And keep traveling and enjoying kitesurfing! Hard to say, I’m not thinking this kind of things but I would say to have no regrets in 10 years when I will have a look at my past. 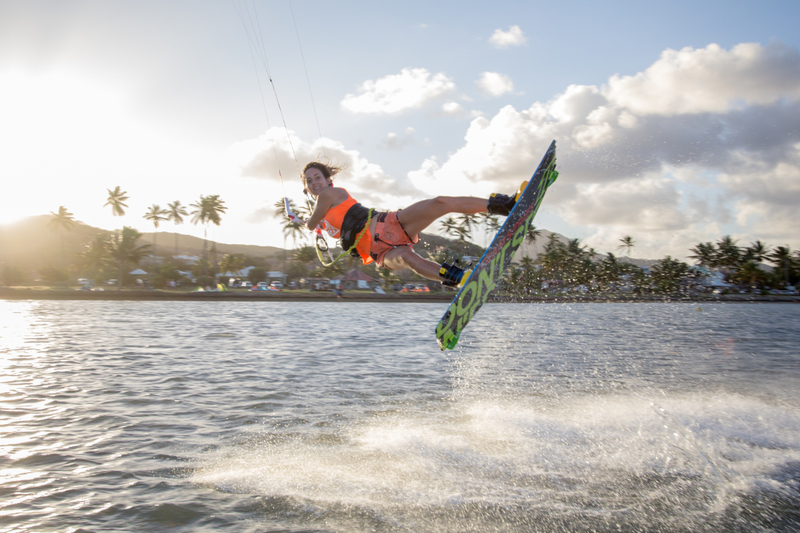 For kiteboarding at high level you need to be prepared physically, if not you will injure yourself. So I would say the difficulties are to keep in shape, always pushing yourself to improve and not be demotivated when you crash all day long, cause the day after you will land your tricks, for sure! The feeling of landing a new trick or making a good result in competition is just insane. You forget everything, you are like flying on a cloud. As I told you before, for a good practice on the water you need to make some physical preparation, so, when I’m alone or at home and when there is no wind, I’m going to the gym club. Like most of people, too many times when I’m working on a trick, I’m exclusively doing this trick, even if I have to crash the whole session. But, I think this is the wrong way to do it. The secret is to work on different tricks at the same time (like one on each side), you do like ten attempts, and then you do some other tricks you land usually before trying again your new tricks. Like this, you keep the feeling and the motivation ON. Ahah, hard to answer. I would say my family, cause they know that I never had this ambitious and confident spirit you need to perform, but I achieved some nice stuff, cause I always followed my dreams. My mom always told me to trust myself, and if I really want something I could do it with hard working. I listened to her and I did it. What are your future plans? For this year? For this year? Traveling, training, photoshooting, enjoying! For the coming years? Keep enjoying my life! Be careful, kiteboarding is like a drug, you won’t ever stop it!!! And I just add to enjoy it as much as possible but take care of you and the other riders around you.